As it stands, Reading are rock bottom with only a solitary point for their efforts so far, though they do have a game in hand due to the mackems not being able to deal with a shower of rain. I was interviewed by Radio Berkshire (calm down!) earlier today and their sports editor was desperate for Danny Guthrie not to start, preferring to go with Karacan in midfield. I was no great fan of Guthrie and the reasoning from some Reading fans is that Guthrie slows the game down too much and by playing Karacan instead of Guthrie, they managed to beat QPR midweek by playing quicker football to get the other team on the back foot. While Reading stayed in the Capital One Cup with that creditable win against QPR, Newcastle of course were on their way out. In the league though they have found things a bit more difficult, with a single point keeping them at the bottom of the pile. In reality though they haven’t had the easiest of starts and a 1-1 draw with Stoke wasn’t the worst way to start a season. They then led Chelsea before going down 4-2 and defeats by Spurs and West Brom have followed. Like most matches though it will be decided by how Newcastle play and not the opposition, though it was a blow to find out that Yohan Cabaye will miss out due to a problem with his teeth! This match will also come too soon for Simpson and Krul who are back in training, though Coloccini and Tiote should be ok unless they have had a negative reaction to their appearances at Old Trafford. The big bonus on Wednesday was the half hour Papiss Cisse put in against Manchester United and we fancy that he could score the first goal, so we are going for an enterprising 2-0 scoreline AND Cisse scoring the first goal, which pays 70-1 with BetVictor. 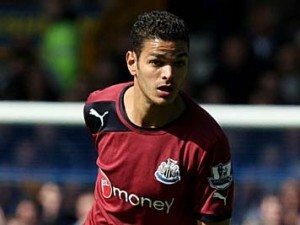 Having missed both the Europa League and Capital One Cup matches, Ben Arfa has probably been done a favour and we fancy him to carry on his superb form, we are tipping a Ben Arfa goal at any time at 5-2 with BetVictor. Finally, it could be a tight match with Newcastle looking to get back to the form that brought them successive clean sheets against Maritimo and Norwich, so we are also fancying a 1-0 scoreline to Newcastle which pays a very attractive 17-2 (8.5-1) with BetVictor. I know it is stating the obvious but matches like this can define a season and I fancy Newcastle to now push on, starting with 3 points at Reading.